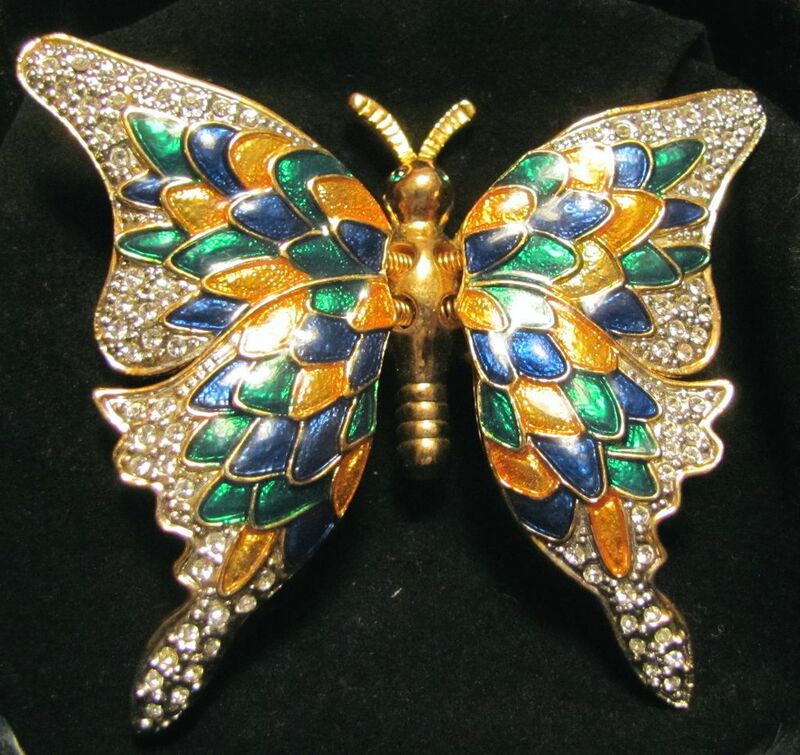 Absolutely beautiful, vintage, butterfly trembler pin or brooch. 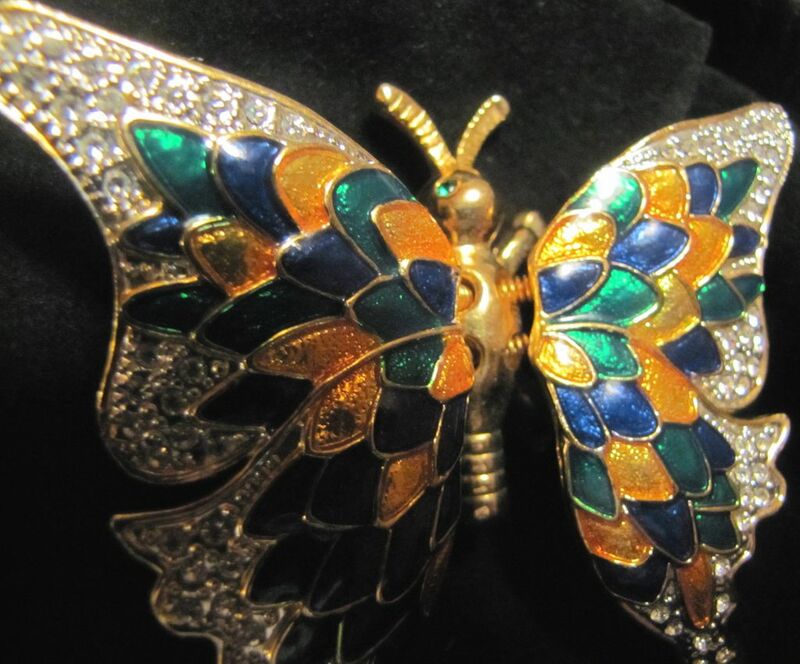 It is enameled with lots of clear rhinestones, or possibly diamond baguettes. 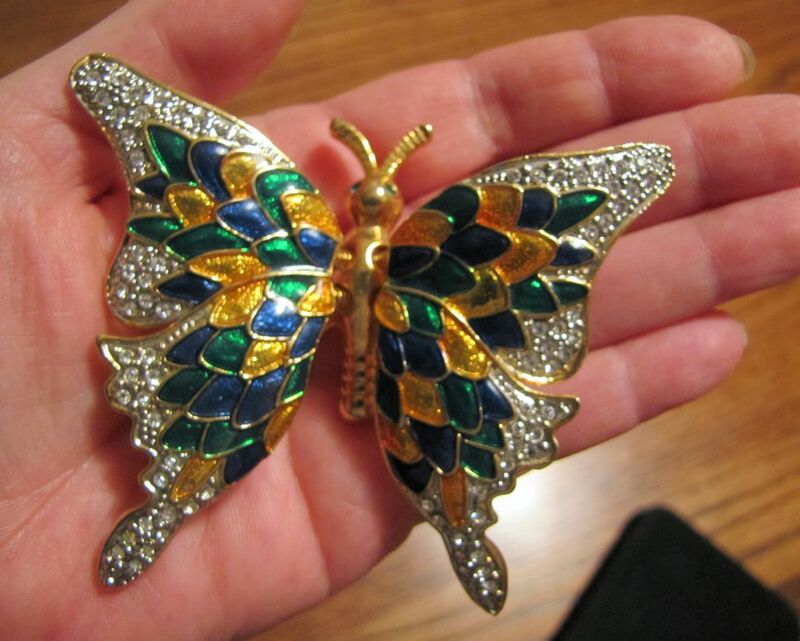 I believe it is gold toned and it is an estate find. The wings move or tremble. I can find no signature, however, there is a very small area where there may be a signature, but I cannot read it. 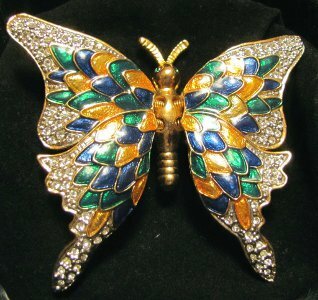 It is a good size measuring 3’’ across by 2 3/4’’ in length. 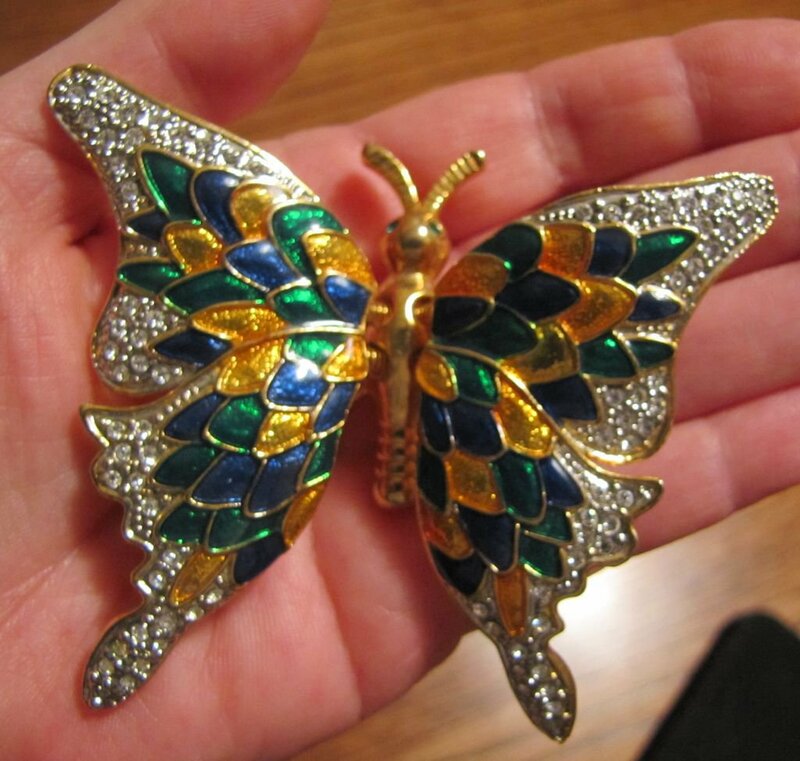 There are green rhinestones for the eyes also. It is in very good condition, very well made, and has a substantial weight to it. Any questions please feel free to email.